As early as 1819, there were one-room schoolhouses in the Northampton Township. First through eighth graders were in one room with one teacher. By 1871 there were nine of these schools scattered throughout the township. 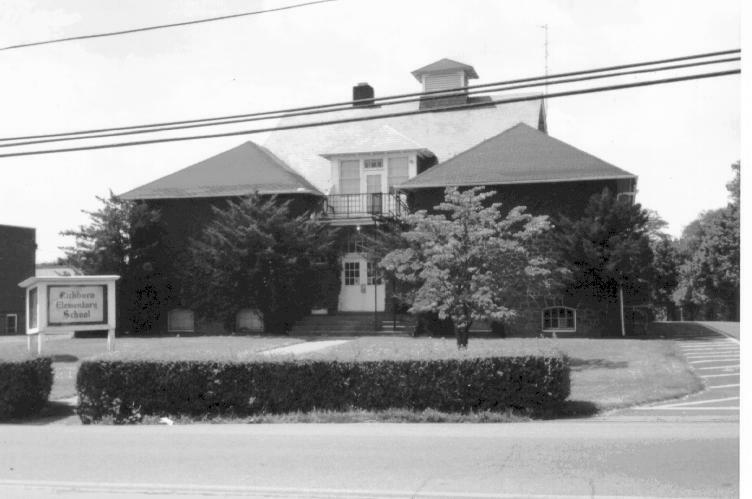 Since the one in Richboro was most centralized, a second floor was added, and in 1896, a two-year high school began. This building was on what is now the Davis Pontiac property. First through sixth grades were downstairs with Miss Sally Twining as teacher, and seventh through tenth grades were upstairs with Thomas Bock, the first high school teacher and principal. This meant that if children wanted to continue their education beyond eighth grade, they had to walk from all parts of the township. There were just two students in the first graduating class in 1900; they were Elva Fenton and Antoinette Praul. There were three years when there were no graduates, and in 1907, William Scott was the lone graduate. In 1913, a larger four room stone building was built, a little further north on Second Street Pike. In 1914, the first class of six graduated from this three-year high school. By the late 1920's, the population had increased enough to cause the school board to discuss adding an addition to the stone building. However, for economic reasons, it was decided to build a modern, four room brick building on ground purchased from Mr. Betz. This is the section of the Richboro School that was just demolished in the fall of 2001. There were four students in the class of 1927, and this was the year Charles Boehm, the principal, made a change to a four-year high school. Just three of the class returned for another year. The new four-room brick building was originally built for elementary grades, but over the years, many additions were constructed. This is where I spent most of my high school years. Graduating classes at Richboro averaged four to twelve students in the 1920's. By 1942, there were fifteen graduates with a staff of nine teachers for the entire high school, including Raymond Gilbert, our principal, who also taught math. 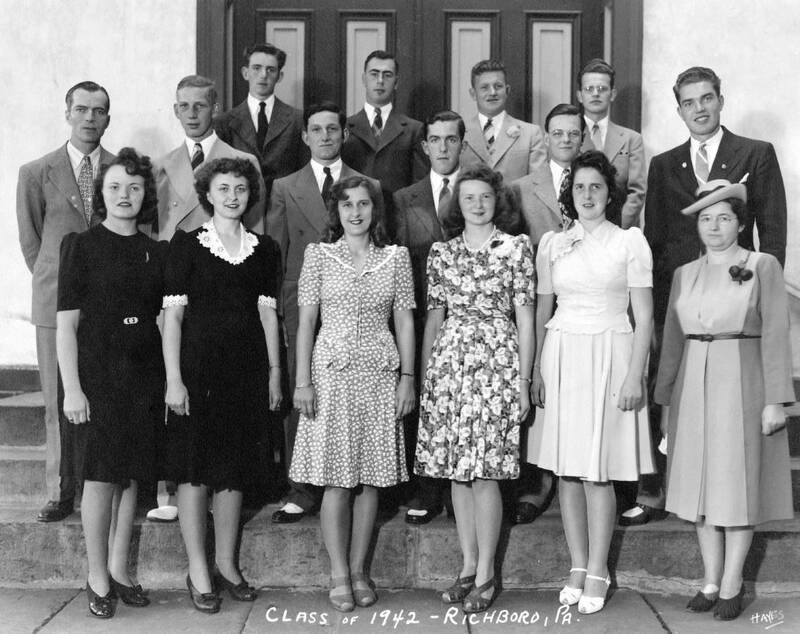 The largest class to ever graduate from Richboro was in 1943 with 28 students. Approximately 385 students graduated from Richboro High School during the period of 1900-1946. Northampton then consolidated with neighboring townships to form Council Rock School District. In our farming community fifty years ago, our class consisted of a set of twins, two brothers, and two cousins. Three future marriages were to cousins of their classmates. World War II was in progress in 1942, and several of the boys joined the service or worked at defense plants. Three continued to farm, and many of the girls were able to find employment replacing the boys who had been drafted. Four of the six girls boarded the train at Holland or Churchville and traveled to their jobs in Philadelphia. I think we can all honestly say we are proud of our roots and particularly proud to say that we graduated from Richboro High School, Class of 1942. There is a DVD movie of the 2009 reunion with interviews and stills combined. Please contact Betty Luff or Doug Crompton for copies. High resolution copies of the school reunion images, suitable for large prints, can be made available on CD.